Pioneers in the industry, we offer polythene bag printing inks from India. 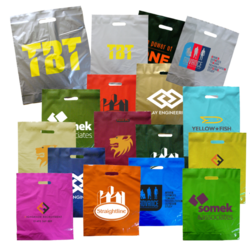 With the intent to cater to the needs of diverse industries, we offer finest quality of Polythene Bag Printing Inks industrial packaging. Optimization of international quality standard materials ensures the preservation of products and make our packaging most sought after in the global markets. Further, breathtaking graphic designs and delightful colors of these products are sure to mesmerize the target audience. We welcome the clients' queries to offer these packaging as per their logo, designs, colors and other specifications.